Investigate and solve problems with ease through CLion’s friendly debugger user interface with GDB or LLDB available as a backend. These pages will help you learn about the features available in CLion, a cross-platform C/C++ IDE. Visit the Docs & Demos section for more learning resources, and download the product to try it in action. Trust CLion to take care of the routine while you focus on the important things. Knowing your code through and through, it can boost your productivity with smart and relevant code completion, instant navigation and reliable refactorings. 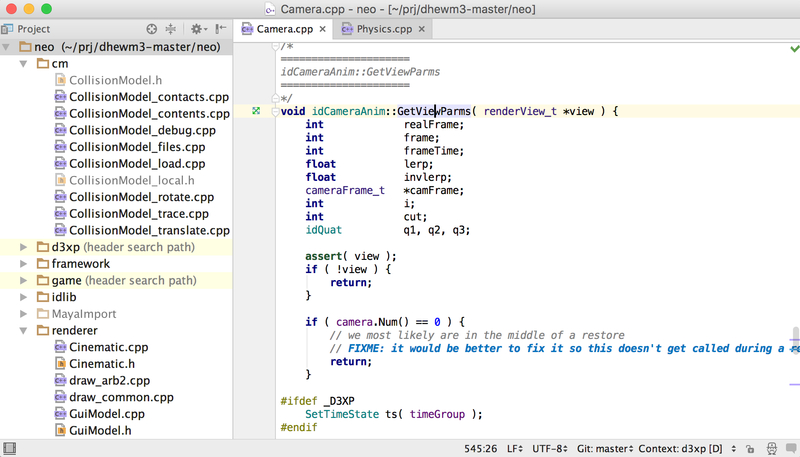 CLion is more than just an editor as it offers intelligent CMake support, a powerful debugger to investigate and solve problems with ease, built-in Google Test and Catch for unit testing, many popular VCS supported out of the box and more. With this year’s first update, CLion 2018.1, you get enhanced C++17 support, new CMake actions, various editor improvements, and a more responsive editor. Windows users can benefit from support for Windows Subsystem for Linux, which makes it possible to compile, run, and debug Linux-compatible binaries while working on Windows, and even run them with Valgrind Memcheck.